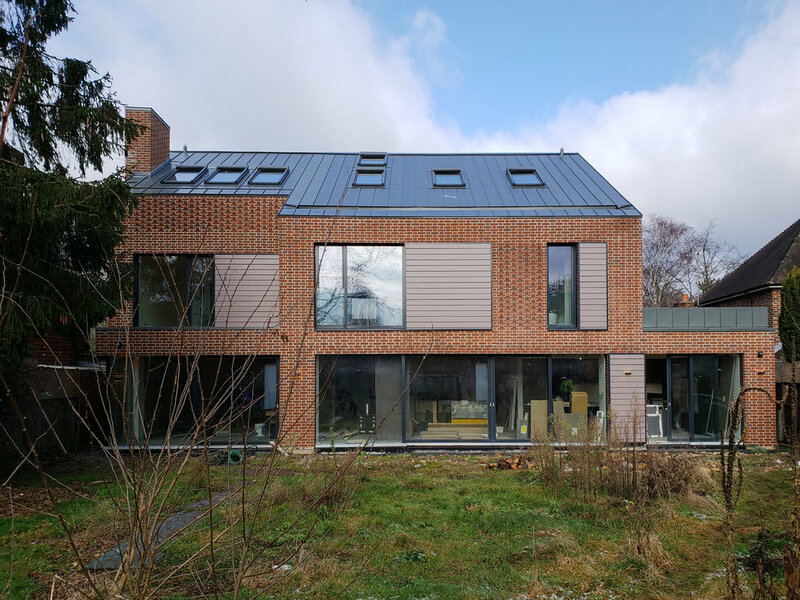 Dulwich Park will be our third certified Passivhaus. The clients, professionals with a young family, were looking to create contemporary environmentally conscious, warm, bright and functional house. The Conservation Area of the Dulwich Estate where the house will sit is an extremely sensitive one in terms of planning. With our extensive expertise, the scheme was quickly approved by the local planning authority and Estate, and was commended by the The Dulwich Society. The design of the house has evolved by analysing the surrounding houses scale, form and materiality and seeking to complement and enhance these qualities. The design uses generous glazing, robust materials and refined details, combined with a well-considered energy strategy to create this beautiful, low energy home.